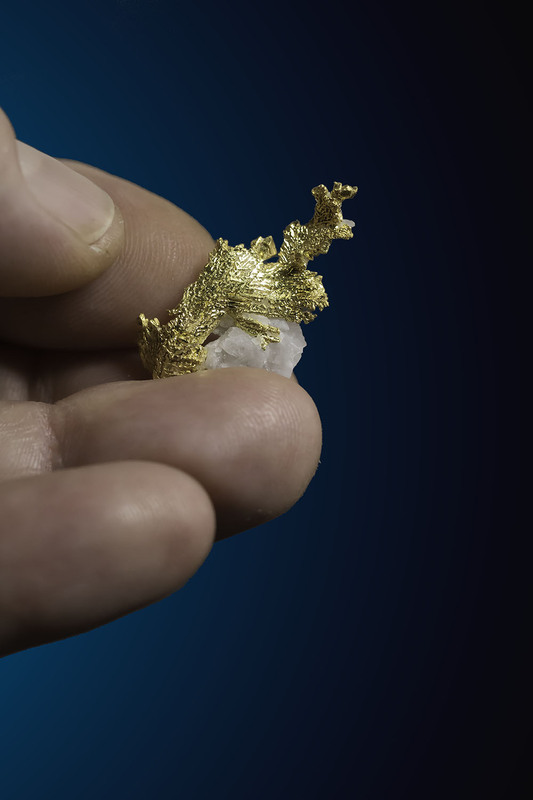 Gold crystals are the rarest form of natural gold and its estimated only about .04% of all the gold in the world is crystalized. 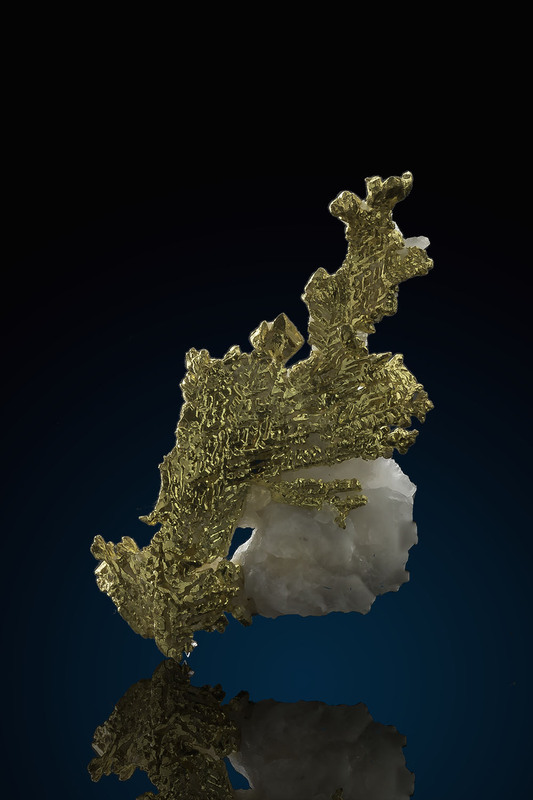 The gold from Eagles Nest Mine in California is the "top shelf" and the mine is world famous for its crystalized gold specimens. This piece is a fantastic example with a very faceted dendritic waffle pattern that waves and bends on the quartz in which it grew from. 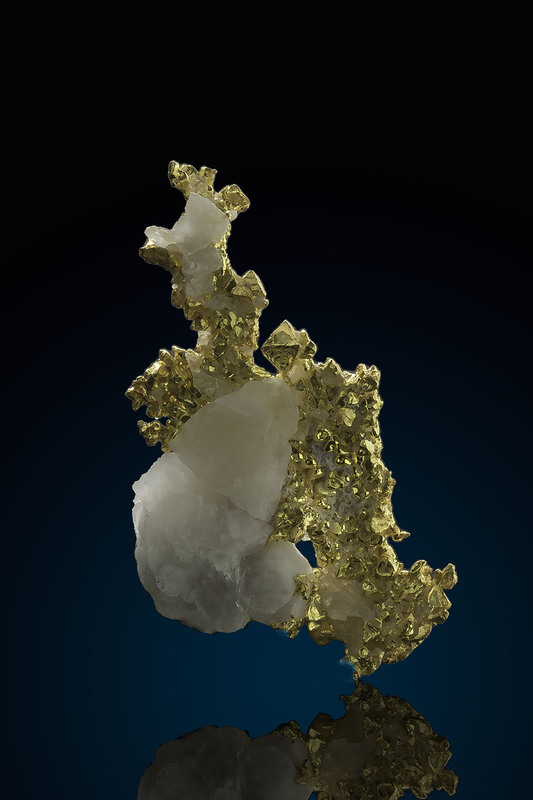 A beautiful piece of rare crystalized gold.